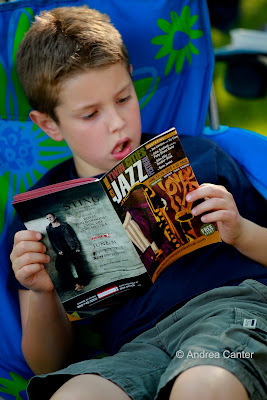 For the twelfth time, area jazz fans, general music fans, and folks just out for some free fun found plenty to enjoy at the Twin Cities Jazz Festival, formerly the Hot Summer Jazz Festival. And formerly, it was a two-weekend, two-city affair. The flailing economy as well as some loss of enthusiasm on the west side of the river nearly brought the festival to a halt a year ago, but thanks to producer Steve Heckler, the city of St. Paul, and some renewed corporate support, the festival was reborn in 2009 as a one-city, one venue event at Mears Park. From my perspective, the St. Paul side of the festival has been the epicenter of community support for years; the crowds maybe were never as big as on Peavey Plaza, but the thousands that came to Lowertown seemed to regard this as a community tribute to the music more than their counterparts on Nicollet Mall. I remember a few years ago at Mears Park when rain threatened to end Mose Allison’s set before it was really underway. Within a few minutes, at his invitation, a sizeable audience crammed onto the Mears Park stage, like a big family reunion in a park pavilion. Hard to imagine that on Peavey Plaza. No, I don’t really miss the festival presence on Nicollet Mall. There’s still plenty of activity all summer along Minneapolis’ urban Boardwalk, and in a few weeks, the Dakota Jazz Club will host its first “DakotaFest” with a day of jazz, blues and more. And who can argue with the success of the born-again TCJF? I haven’t heard attendance estimates (and I still can’t figure out how they even come up with the numbers! 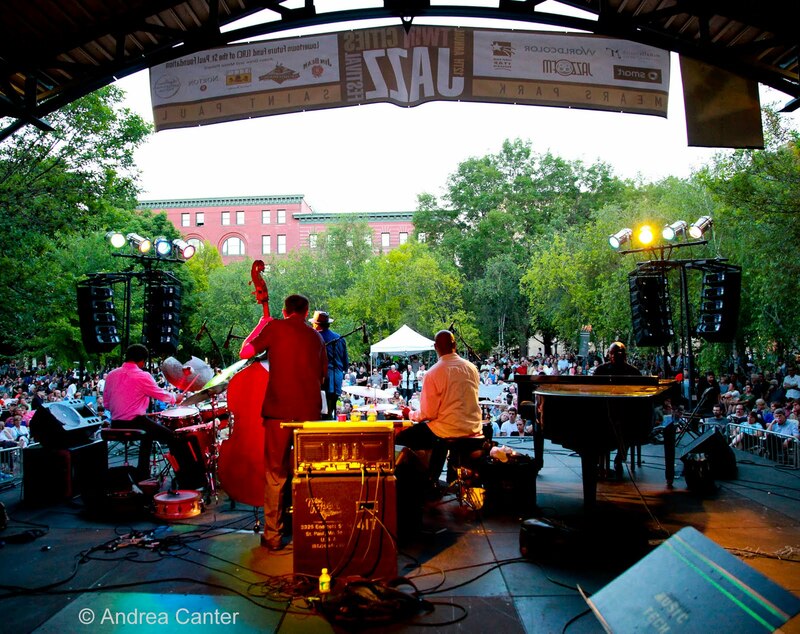 ), but given no tables in the main seating area in front of the Mears Park stage that allowed more chairs, the crowd did seem denser by the evening finales than last year, and with the beautiful weather, the crowds seemed to gather earlier in the afternoon. If attendance is one measure of success, the sustained energy and creativity of the music is another. 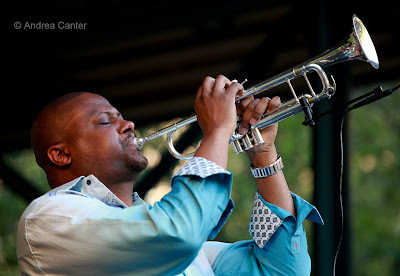 No one glows on stage like trumpeter Sean Jones, who manages to grin while wrapping his lips around the mouthpiece; Jones leaves no doubt as to the respect he holds for his bandmates, evident in his words as well as the space he gives them musically. 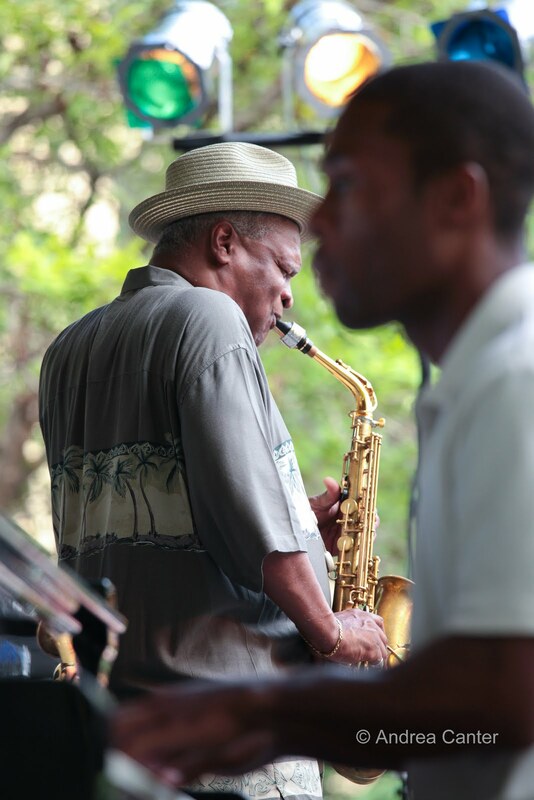 Truly generous, he also invited Bobby Watson to join (and star) on one tune, Watson arriving a day ahead of his own performance to enjoy the festival. 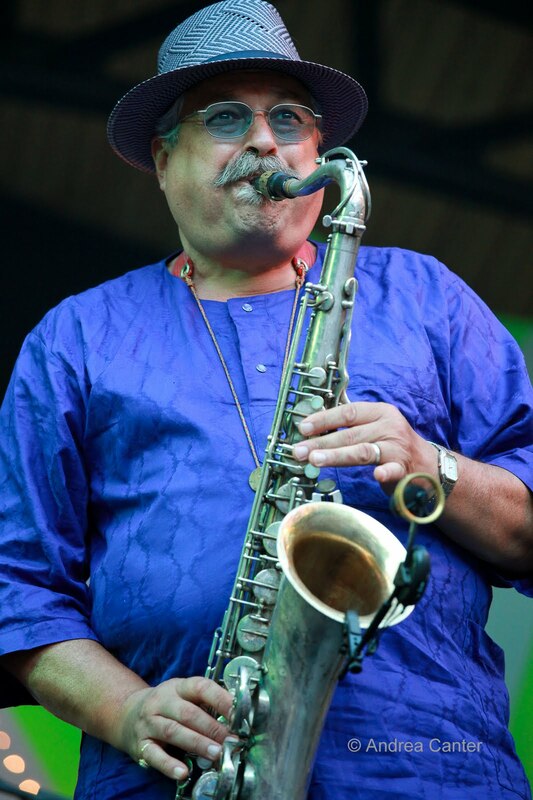 And no bandleader has assembled more outstanding and diverse projects than Joe Lovano, here with his latest band of much younger virtuosos, Us Five. Playing original music in a somewhat odd format of two trapsets, Us Five treated us to the music of their much honored debut recording, Folk Art. 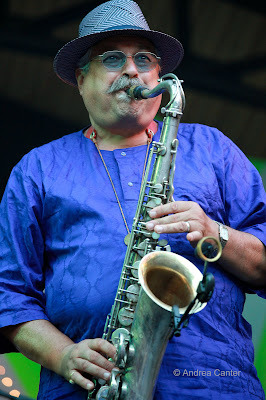 Most innovative, perhaps, was young Aakash Mittal and his quartet from Denver, playing all original music that blends Mittal’s multicultural background of American post bop and Indian ragas. And perhaps nothing was more inspiring than hearing seven bands on the Youth Stage. The Mid Level Honors Band of the Minnesota Jazz Educators Association had one four-hour rehearsal the previous day with guest conductor Dave Hagedorn, and opened the Youth Stage as if they had spent the past year together. And these were just middle schoolers. Few high school bands could top their sharp execution. We also heard some stellar ensemble and solo work from the Twin Cities Youth Jazz Camp band (middle and high school students who had all of four days of camp to work up these charts); the middle and high school students of the St. Cloud Area All-Star Jazz Band; the St. Paul Central High School jazz band, one of the premiere jazz programs among area public high schools; BFGS, a quartet of young area jazzmen who each just completed his first year of college music studies; two trios headed by winners of the recent Jazz Piano Scholarship Competition (17-yeaer-old Kai Olstad and 16-year-old Quentin Tschofen); and the Dakota Combo, an ensemble of gifted students grades 9-12. 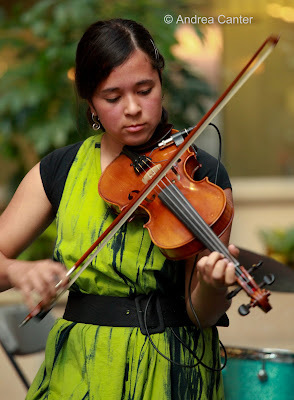 The Combo deserves special recognition for poise and tenacity under unfortunate circumstances—some administrative glitch resulted in overlapping events at Cray, the Youth Stage in the center Atrium and a wedding reception in the adjacent restaurant atrium space. One of the most attractive features of the TCJF aside from the music is its appeal to families who make the most of one of the region’s gems of urban parks. Kids playing in the stream running through Mears, toddlers in strollers, dogs on leashes, the lady with the large inflatable batman, the guy with the tall clown hat, folks in motorized wheel chairs, students wide-eyed as they see and hear their musical heroes – the TCJF is more than a dazzling showcase of music. It’s a family event, a magnet for all that is right with urban communities. And that’s so very basic to jazz and its future.